New 2019 Ram Rebel Crew Cab 4X4. The color is Bright White with Black/Red Interior. It is equipped with 18" Painted Wheels, 8.4" Display, Apple CarPlay, Heated Front Seats, Heated Steering Wheel, Remote Start, Factory Trailer Brake Controller, Power Pedals, Tow Package and Push Button Start. This Truck looks great and is ready to go. 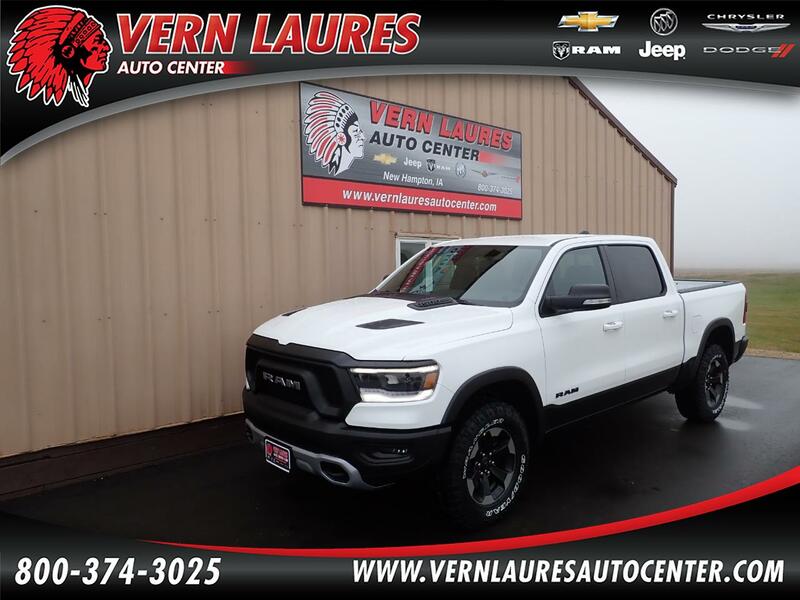 Give our sales department a call today and see how much you can save on this all new 2019 RAM 1500!